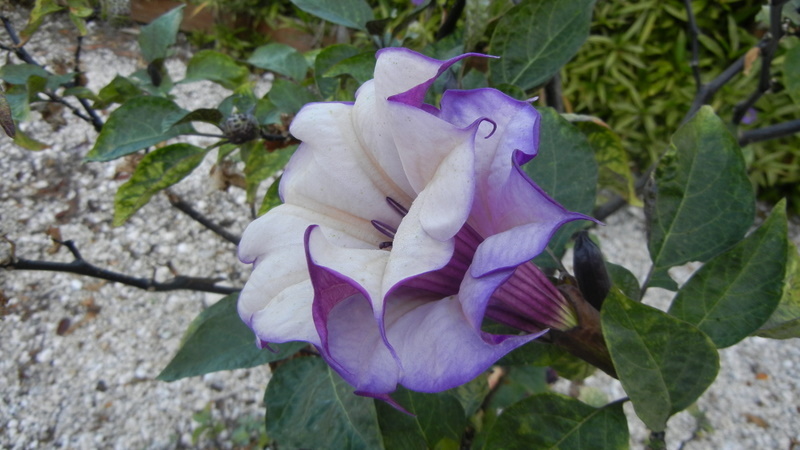 We left Ed & Daisy in Marathon after taking a photo of their Datura fastuosa double purple or double purple devil's trumpet (all parts are poisonous) that was growing in the yard. Mavis got some seed pods so we may see one of these in our yard in Nashville. 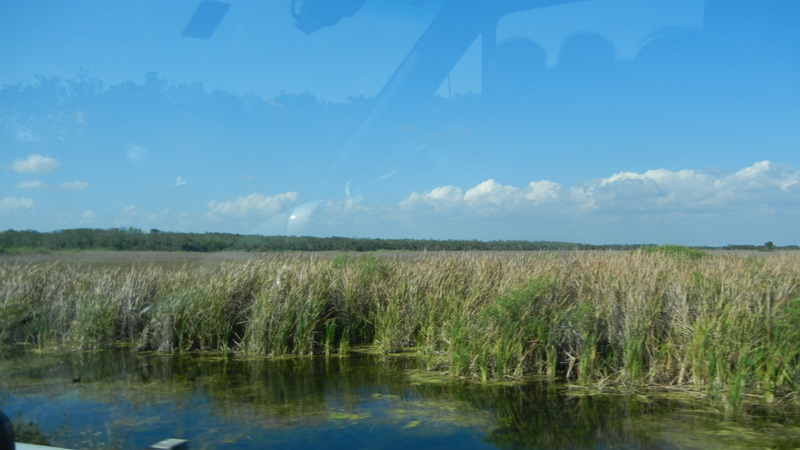 Our GPS took us across Florida on the Tamiami Trail through the Everglades and the Big Cypress Swamp. 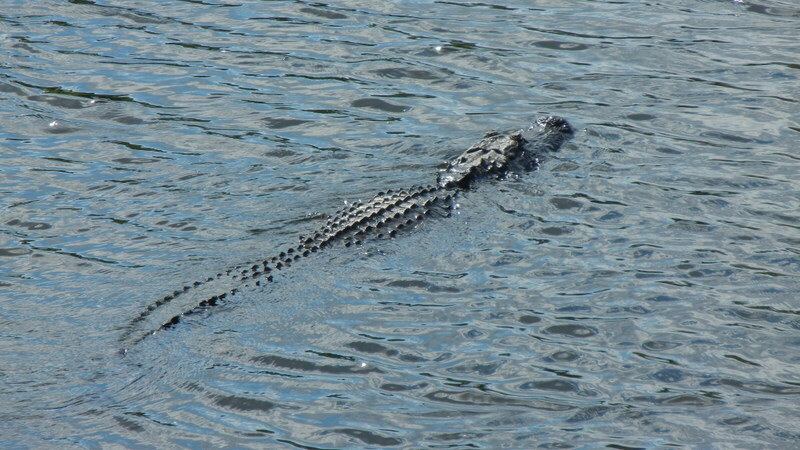 We stopped at the Nature Center and admired the alligators in the canal beside the road. 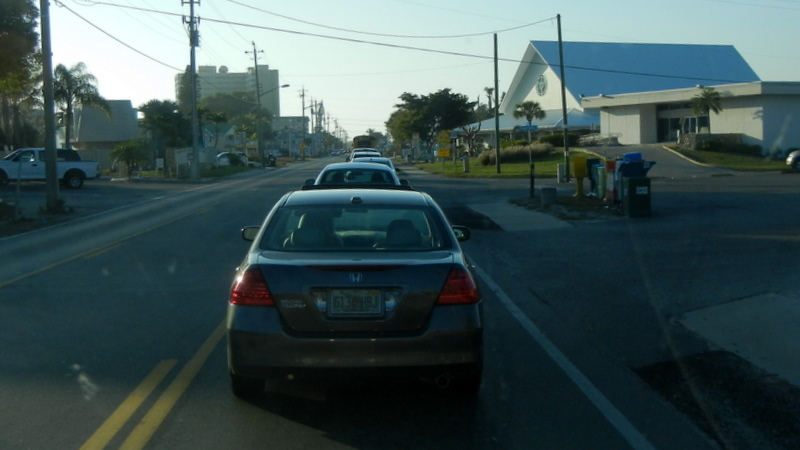 The GPS then took us north on the main street, Estero Blvd, in Fort Myers Beach. What a mistake that was. We crawled at 0-5 mph in the traffic for about 2 miles taking nearly 60 minutes. It was pure congestion as there was no construction and very few traffic lights. NEVER TAKE THE BEACH ROAD AT 5:00PM !! Tomorrow we are having lunch with friends Tim and Tammy from Murfreesboro, TN. They are vacationing on Sanibel Island.